Naturopathic Medicine is a special form of primary health care as it emphasizes prevention, treatment and optimal health through modalities that encourage our inherent self-healing mechanisms. 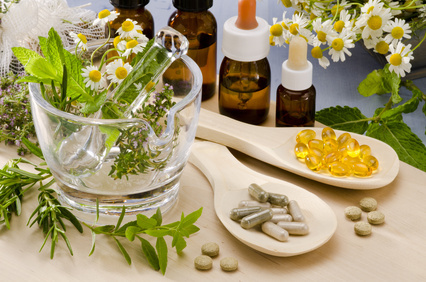 Naturopathic physicians are trained in naturopathic principles, nutritional therapeutics, botanical medicine, homeopathy and physical medicine as well as the typical array of medical school subjects like pharmacology, physical diagnosis, lab interpretation and minor surgery. Dr. Gandre believes naturopathic medicine is the most logical, humanistic approach to primary health care. Every patient has a unique set of circumstances effecting his or her physical, mental, emotional and spiritual health, so time and consideration must be given to adequately address each patient’s health concerns. First Office Call: A comprehensive first office call lasts approximately 60-90 minutes. History taking and any necessary physical exam is performed during this visit. If needed, additional lab tests or imaging may be ordered. The patient leaves with a treatment plan tailored to his or her personal health goals. Follow Up Visit: A return office call lasts approximately 15-60 minutes. This visit is used to discuss lab results, assess progress and determine any additional next steps. *Some insurance plans, like HMSA PPO, reimburse patients for consults. Dr. Gandre is paid at the time of service, but she can provide you with an insurance-coded receipt for reimbursement. Your visit may be eligible for reimbursement, but Dr. Gandre does not bill insurance directly. A bill with necessary codes can be provided for the patient to submit for reimbursement. Please call your insurance provider to determine your eligibility for reimbursement of visits and lab fees.